I, your self-appointed Society president for life, am hereby calling to order this special meeting to share an important piece of information. It has been some time since we last met. We refer to the previous meeting minutes to determine that we last met for the annual Society Christmas meeting. Where does the time go? We are long overdue for a meeting, since it is already mid June. Wow, is it summer already? Well, not quite. Summer does not officially begin until Monday, June 21, at 7:28 am EDT. Do you know what this means, Dear Members of The Society? It means that anything we get done in our gardens this weekend will have been officially completed this spring. And that sounds so much better, and more efficient, and more “on top of things” than when we say we didn’t get something done until the summer time. To wit, isn’t it better to finish potting up your container plants in the spring, than in the summer? Of course it is. So just do it this weekend. And no doubt for all of us, there are many other “to do” items and tasks that we promised ourselves we would do this spring. Well, if we can complete those items this weekend, we can truthfully, honestly and without reservation, say that we completed them this spring. Consider this little tidbit of seasonal information a gift from me to you to help you feel better about yourself and your garden and all that you were able to get done this spring. Really, thanks are not necessary. I, your self-appointed president of The Society, am merely here to serve and support the membership in any way I can with useful information such as when summer officially begins and how to use this information to your advantage. Should you have questions about this information or need to seek me out for clarification, look for me in the garden most of the weekend. I have a lot to finish up this spring. P.S. 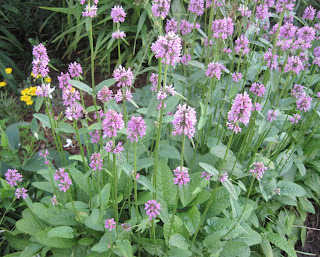 Pictured above is Stachys officialis ‘Hummelo’ apparently also known as Stachys monieri ‘Hummelo’. 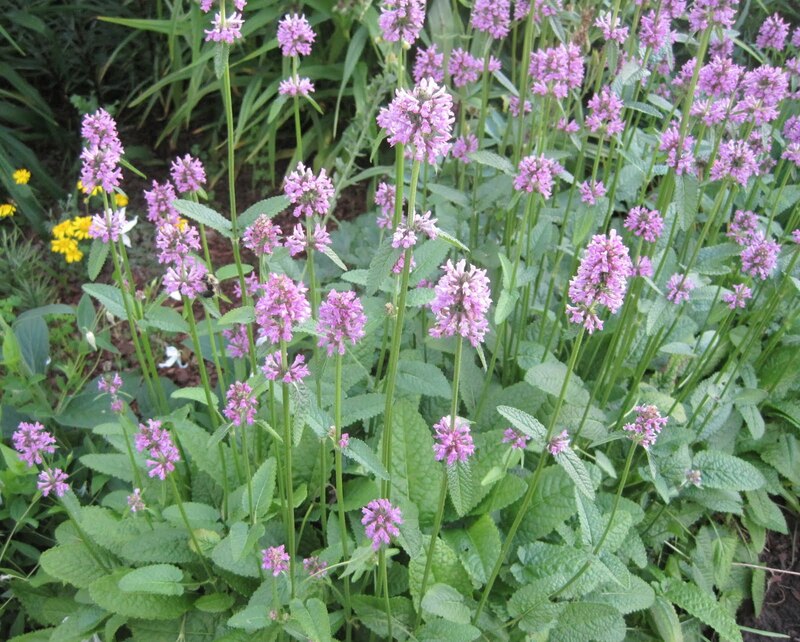 A lovely perennial - plant it in your garden and then let’s talk about those taxonomist and all their name changes! I really prefer not to think too much about the first day of summer...because it means the days are getting shorter. It's a sad thing. Although the reality doesn't hit for a while. How did you know I had pots that needed potting up? Will your Garden's spring makeover be completed by summer? It feels like summer already doesn't it?. It appears to be a scorcher. Thanks so much for the heads up on the rapidly approaching switch from spring to summer. Now, if you could just lend me your hard working nephews for the weekend I might be able to get the work done that I thought I would do "this spring." As it is, I deem myself lucky if I actually get around it it "this year" the way things have been going. . . Uh oh, I have alot of work to do before summer hits. Officially I try not to garden at all in the summer - only weeding and thinning - as it cut into pool time. Better get to work instead of catching up on blogs.